US Rare Earths Inc. (UREE:OTCBB) is back on track after settling a legal dispute which has been troubling the company since September 2012. The Nevada State Court approved a settlement of the board dispute on June 5, and the federal court in Utah sealed the deal by dismissing pending actions on June 11. With their legal woes behind them and a recently-acquired drill permit in hand, the company is starting to pierce ground at its Lehmi Pass property in Montana. The area is expected to have "significant showings of Heavy Rare Earths," according to Kevin Cassidy, CEO and director of US Rare Earths. The exploration company has claims in Colorado, Idaho and Montana totalling approximately 12,000 acres. Despite the positive developments, US Rare Earths fared poorly on the market on Monday, dropping 14.5%. The Lehmi Pass region's showings of Dysoprosium, Europium, Neodymium, Terbium and Yttrium have been recognized by the US Department of Energy's Critical Materials Strategy reports. The department classifies these five elements as "at risk" – meaning they are essential to the development of clean energy and in limited supply. China maintains a monopoly on the rare earths market, making up 95% of global supply. In 2009 the country began restricting exports, driving the price up and the foreign governments mad. 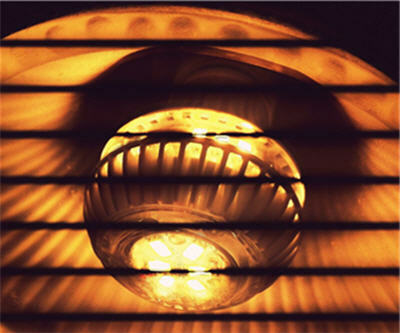 But low prices in 2013 have forced Chinese producers to offer up more to international buyers. 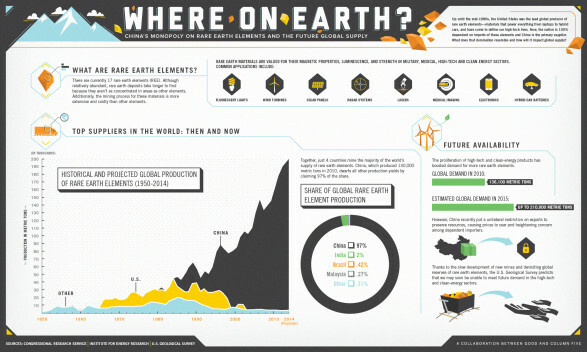 The Future Global Supply of Rare Earth Elements infographic by Column Five Media.